LinkedIn's big data recruitment strategy has stepped up another notch after it acquired a Canadian software startup known as Careerify. First reported by TechCrunch, Careerify will close down two of its software products as part of the move, yet a third product focused on employee referrals will remain open to existing customers. However, LinkedIn will not allow any new users to sign up. The two Careerify products that have been culled are an employer branding software product to help firms appears more attractive to candidates and "internal mobility software" that assisted companies in internal hiring efforts. Careerify's referral software that survived uses an employee's social connections from the likes of Twitter, Facebook and LinkedIn to suggest individuals for job postings at their place of business. As such, Careerify's app fits in well with LinkedIn's overall business strategy. Harpaul Sambhi, CEO and founder of Careerify explained that the decision to join LinkedIn was to give them the "massive scale" they lacked. 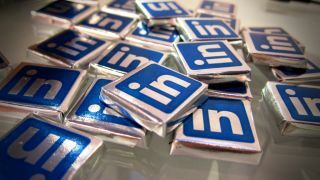 Joining Sambhi at LinkedIn are software engineers Luthfur Chowdhury and Prashant Viswanathan, and all three will be relocating to Mountain View from LinkedIn's new Toronto office in due course.